Sea Life Grapevine Aquarium New Claws Exhibit Giveaway! You are here: Home / Expired / Sea Life Grapevine Aquarium New Claws Exhibit Giveaway! Claw your way to Sea Life Grapevine this April 22nd to experience some of the world’s crabbiest creatures! 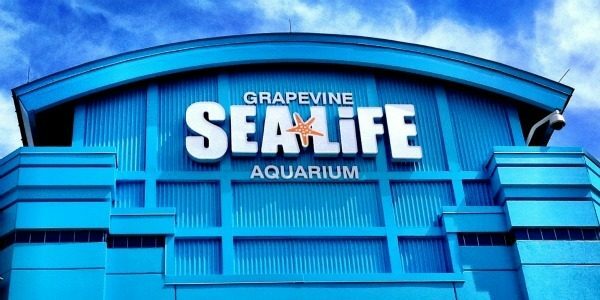 SEA LIFE Grapevine Aquarium has their new CLAWS exhibit opening on Earth Day, Friday, April 22 and they provided 4 tickets for us to give to you! The yearlong Claws exhibit will feature different crustaceans from around the world including mighty coconut crabs, unique porcupine crabs, lively land crabs and even lobsters. The exhibit will also feature a Japanese spider crab, the largest arthropod in the world, with legs that can reach 12-feet across when fully grown (I really want to see that!). 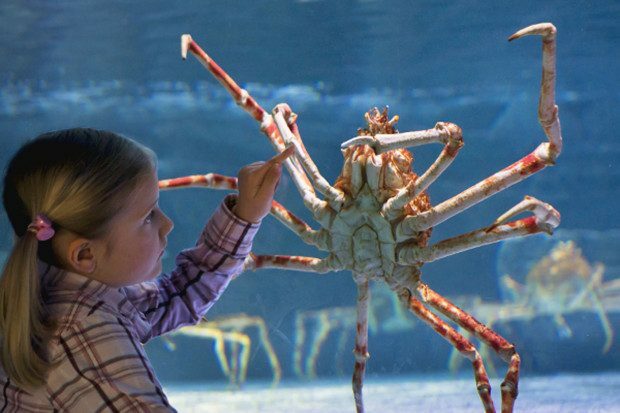 Interactive features include a touch display allowing guests to feel the shell textures of different crabs, a giant mechanical claw that guests can control and use to pick up objects as well as a specially designed crawl-through tunnel display, which allows visitors to get underneath the tanks to observe the crustaceans from all angles. In celebration of the opening, SEA LIFE Grapevine has been collecting empty soda cans for Sink Your Claws Into Recycling, a project to raise awareness about the importance of recycling. Local artist Val Curry is building a 6-foot handcrafted crab sculpture made out of 1,500 soda cans. The completed crab sculpture will be unveiled later this spring and will travel to popular Dallas-Fort Worth areas this summer to create awareness about pollution through powerful art and hands-on educational activities. For more information visit www.visitsealife.com/grapevine and follow them on Facebook, Twitter and Instagram! To enter the giveaway, leave a comment telling us which crabbie creature you want to see! The winner will be drawn at random. This giveaway will end Saturday, April 23, 2016 at 11:59 pm Central time and the winner will be emailed soon thereafter. Make sure you add [email protected] to your address book, so you get the email if you win!